This is the second look with my collaboration with Marx. This collection is special because it sends out a cool message: Dare to show your emotions. My emotions regarding this outfit are very romantic with a dash of cool. 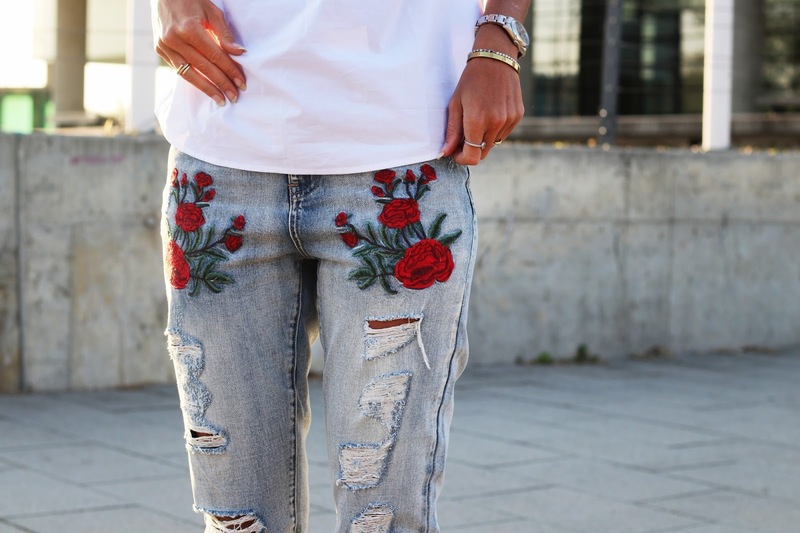 I love the flower details on ripped jeans which exactly show my point. I wore them with a romantic off shoulder top and again, cool gold sneakers and a backpack. It's a look that I would wear every day around town. I love the new Marx collection. Dare to show your emotions!